“Let’s Go Places!” Not only is this the tagline of Toyota, a major project we recently completed in Noblesville, IN, but this phrase describes what many of us are doing during the summer months! Our hope is that you are making memories, taking things a little slower (maybe), and enjoying the warmer weather. Most of our featured projects this month have been longer-term projects (by our averages) and have involved extensive exterior work that we’ve been able to complete with steady temperatures. We have also had some quick, fun interior projects for new and “old” clients. Additional photos of our June projects below can be viewed on our facebook page. If you’re interested in talking with us about a potential project or partnership, please contact Lauren Kriner at lkriner@capitolconstruct.com or 317.574.5488. If you are a vendor partner, please make sure to register your business on our new subcontractor system here. ED MARTIN TOYOTA, Noblesville, IN – 80,000 Sq. 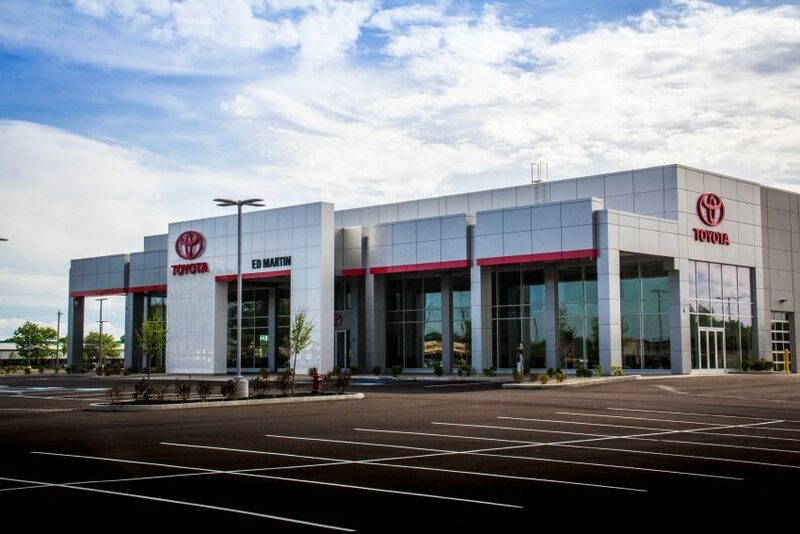 Ft.
Capitol Construction proudly completed our 7th project for Ed Martin Auto Group, building their 80,000 square foot Toyota dealership, now open in Noblesville, IN. During the 10 months of construction, we built a showroom, offices, 42 service bays, 5 detailing bays, 2 alignment racks, a carwash, and added LED lighting on both the interior and exterior. Ed Martin Toyota in Anderson, IN has now closed, and been relocated to this new dealership. Balay Architects, with Diane McDaniel Designs, provided the architectural design and Civil Site Group performed the civil design. LITTLE RED DOOR CANCER AGENCY, Indianapolis, IN- 14,000 Sq. Ft. It was a great privilege to partner with the Little Red Door team, a United Way of Central Indiana agency, to give their older building a major update. The facility and its team support the medically under-served in central Indiana that have been physically, emotionally and financially impacted by cancer. The 14,000 square-foot building, at 18th and Meridian, received exterior work, including a new handicap ramp, new awnings and parking lot, and the interior was completely remodeled with new finishes. A first-class kitchen, fitness center, and treatment rooms were incorporated to the delight of staff and guests! CSO Architects, Context Design, and CORE Planning Strategies were all teammates on this rewarding project, now back in service! JONES LANG LASALLE, Indianapolis, IN- 10,600 Sq. 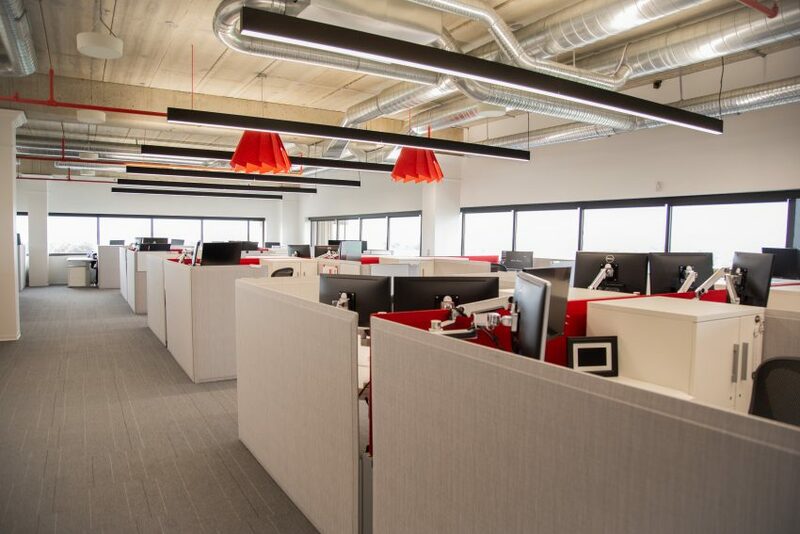 Ft.
Having worked with the JLL Indy team and their clients for many years, it was an honor to remodel and expand their office space in Indianapolis’ prestigious Keystone at the Crossing Office Park. 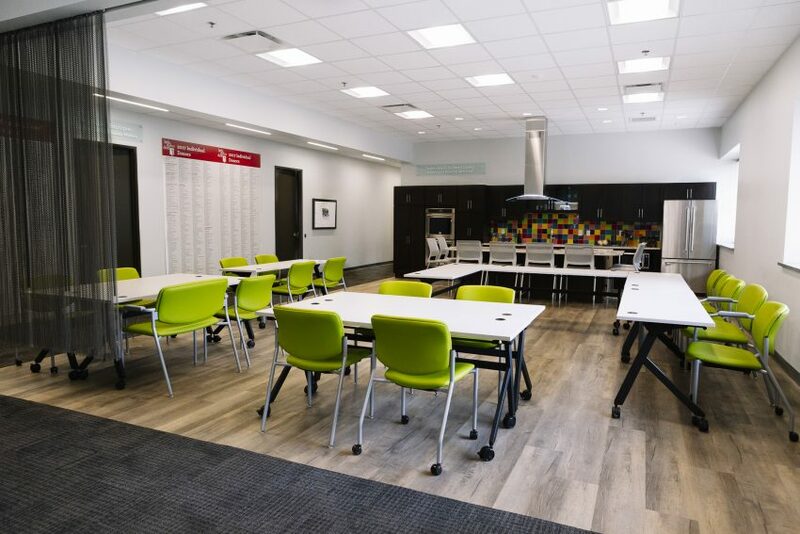 The 3,000 square foot expansion and 7,600 square foot remodel was designed by local Parallel Design Group, creating some new open work areas, private conference rooms, and areas to “play”! The transformation has been embraced by the JLL team and visitors alike! WENDY’S, Whitestown, IN – 2,300 Sq. Ft.
What a good-looking building! The Shoppes at Anson in Whitestown, IN welcomed Wendy’s to their retail & restaurant lineup this spring. Visible from the high-trafficked I-65N, the 2,300 square foot quick-serve restaurant is now serving food in their bright new store. This was the first project Capitol performed for Wendy’s, and we completed both the shell & interior. 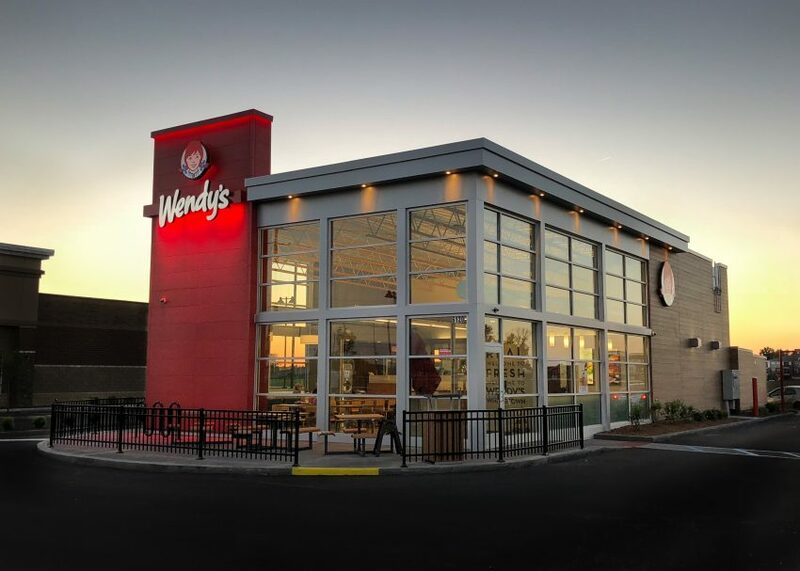 Chicago-based Wallin-Gomez Architects designed the new Wendy’s, nestled between two retail centers we recently completed for local developer, Midland Atlantic! RECOVERY WORKS, London, KY – 18,000 Sq. 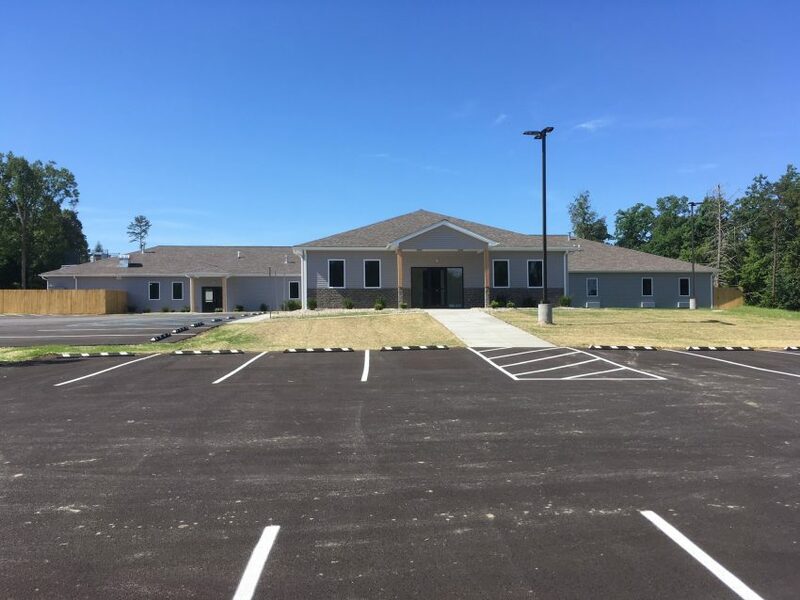 Ft.
Our ground-up division completed an 18,000 square foot Recovery Works addiction treatment center in London, KY. The home offers structured programs to help those who are recovering from addictions. There are individual rooms, gathering and outdoor areas, as well as bathrooms and a full commercial kitchen. We are looking forward to future projects with this group, as they are very rewarding projects, and serve a growing client need! Louisville-based C.R. Stone Architects provided the home’s design. UNTUCKit, Indianapolis, IN – 1,500 Sq. Ft.
A new retailer opened at Simon’s The Fashion Mall at Keystone last week. 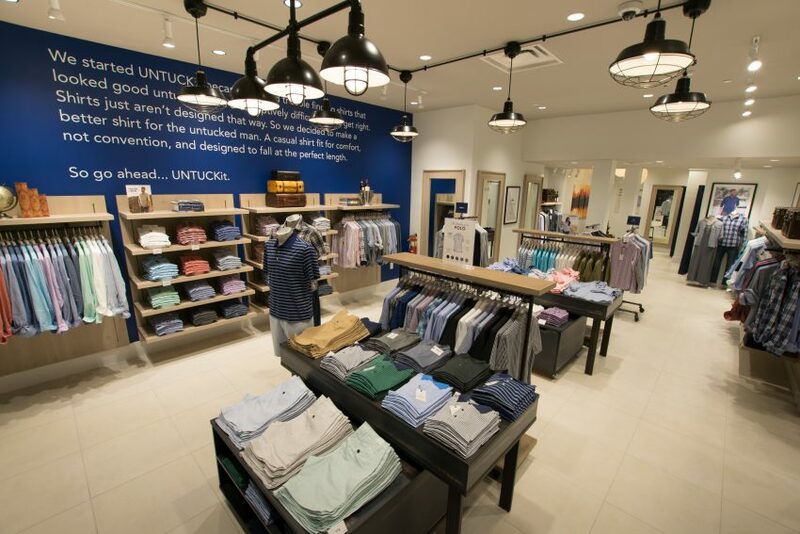 Growing men’s clothier, UNTUCKit, joined the mall’s west wing in a 1,500 square foot space. Shremshock Architects out of Columbus, OH, designed the new space, catering to men looking for the perfect shirt to be worn, “untucked”!